We welcome this opportunity to tell you a little bit about our LTL freight company. All LTL freight carriers are not the same, and we think it is important for you to understand who we are, what we do and the benefits you can realize by choosing Hotline Freight as your transportation provider. The commitment to you, our customer, is to build a solid long-term relationship by providing exceptional ltl freight services that exceeds your expectations. We offer next-day service to portions of South Dakota, Wisconsin, Minnesota, Northern Illinois, Iowa, Omaha, Nebraska, Northern Indiana, and Southwestern Michigan, including the Grand Rapids area. 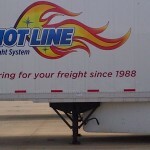 Hotline is not just a regional LTL carrier. We also offer Nationwide Volume LTL Direct Shipments to ALL POINTS in the contiguous United States including our Express “Hot Shot” Service, which is a guaranteed service available 24 hours a day, 7 days/week anywhere within the 48 contiguous states. 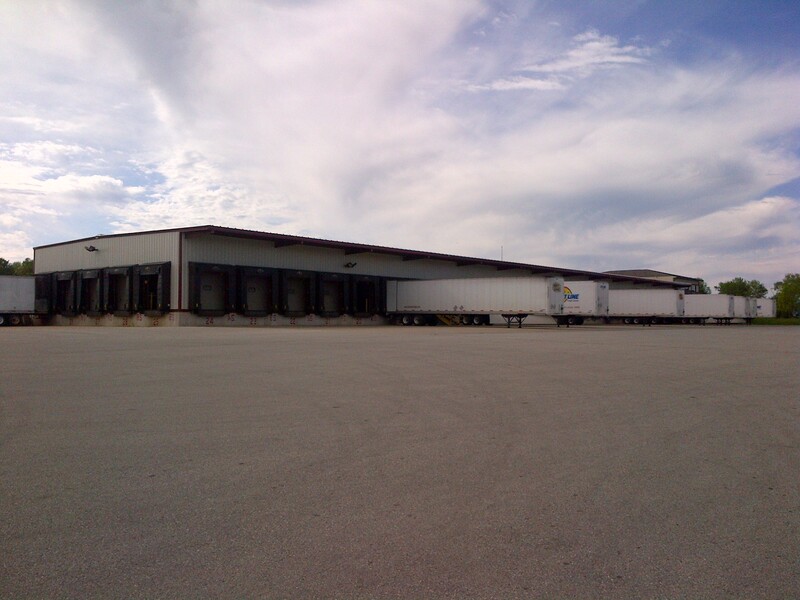 We operate 17 terminals with 250 employees, 100 late model tractors, and 200 – 53′ air ride logistic trailers. 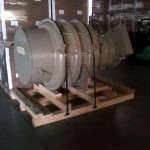 Our 53-foot air ride vans are fully equipped with Logistics Technology to assure every shipment moves damage free. We pride ourselves in maintaining a Satisfactory DOT rating, providing excellent preventative maintenance and driver safety programs. We welcome your calls for pricing and service. All we ask is that you give us a chance to show you what we can do for you. Our future depends on the commitments we make to our customers! October 1988 – Larry Johnson and Rob Burgmeier started Hot-Line Freight System, Inc. with a couple tractors, a couple trailers and a couple customers. Larry had the location in Onalaska, Wisconsin and Rob had the customer, Camcar/Textron in Decorah, Iowa. First year revenues were $350,000 and 85% came from Camcar. 1988-1993 – New terminals opened in Rockford, Milwaukee, Minneapolis, and Green Bay. At the end of 1993, revenues were approximately 2 million. 1994-2000 – New terminals opened in Dubuque, Des Moines, Mankato and Elkhart. Revenues in 2000 exceeded 7 million. 2001-2005 – New terminal opened in Wausau. At the end of 2005, Hot-Line out-grew the Onalaska, Wisconsin location and revenues exceeded 12 million. 2006 – Built new corporate headquarters 15 miles east of La Crosse, Wisconsin on Interstate 90. Headquarters included a 21,000 square foot warehouse along with 8000 square foot office space. Also built a state-of-the-art shop, and started a repair business which now employs over 30 people. 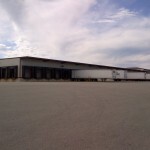 Both buildings sit on over 20 acres with a scale, truck wash and 12,000 gallon fuel tank. 2010-2012 – New terminals opened in Madison, Wisconsin, Albert Lea, Minnesota, and Kalamazoo, Michigan. Revenues for both companies exceed 25 million for 2011. 2013 – New terminal opened in Sioux Falls, South Dakota. 2014 – New terminals opened in Indianapolis, Indiana, Bryan, Ohio and Bloomington, Illinois. The two terminals represents Hot Line’s 18th and 19th terminal, providing coverage from Central Illinois and Northwest Ohio area to all 48 states. 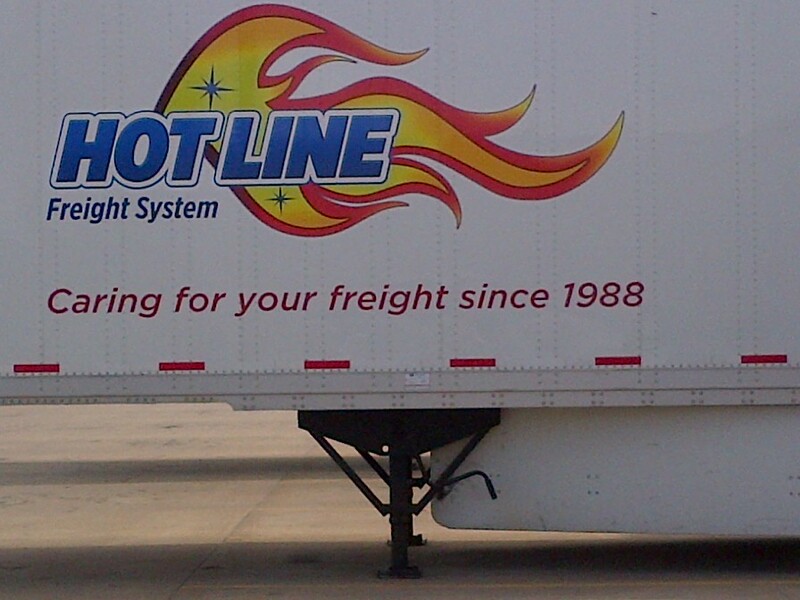 Hot-Line has over 300 employees/operators nationwide. Hot-Line and affiliates combined 2014 revenues will exceed 35 million. 2016- Partnered with Cross Country Freight Solutions to cover a bigger area in the Midwest for our customers. Including areas of North Dakota, South Dakota and Nebraska. 2018- Integrated a new Fleet management software, Omnitracs, for better productivity, reliability, routing, safety and compliance of our transportation assets. 2019-Broke ground for a new shop addition at our corporate terminal in West Salem, WI. 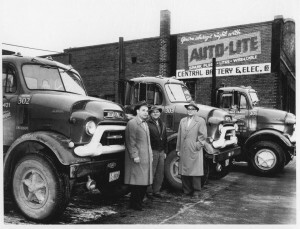 Rob Burgmeier’s (Hot Line Freight Co-owner) grandfather owned Chicago-Dubuque Transportation Company.